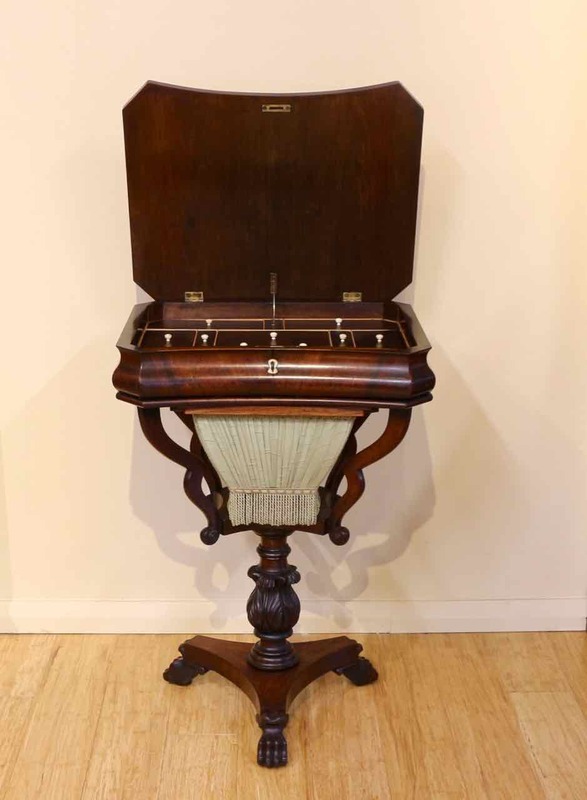 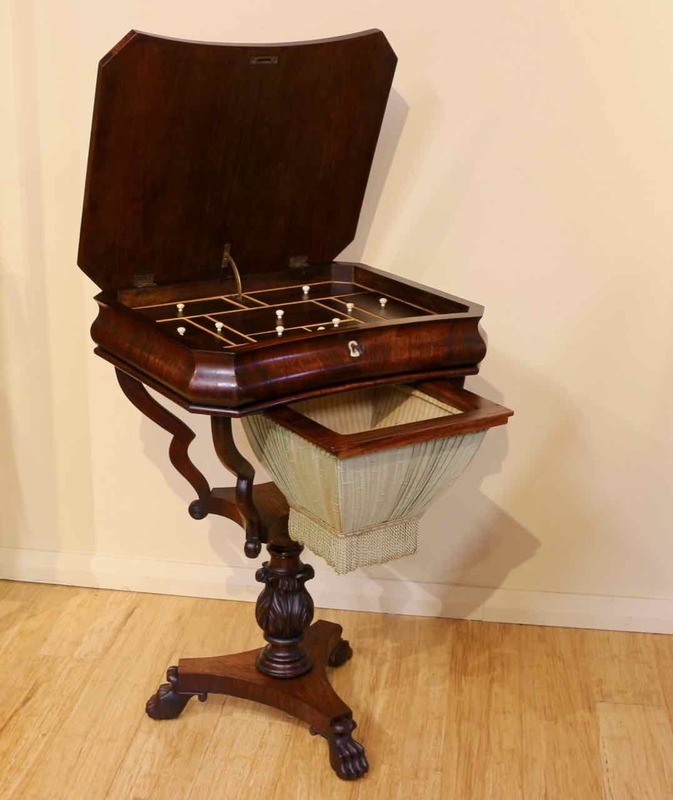 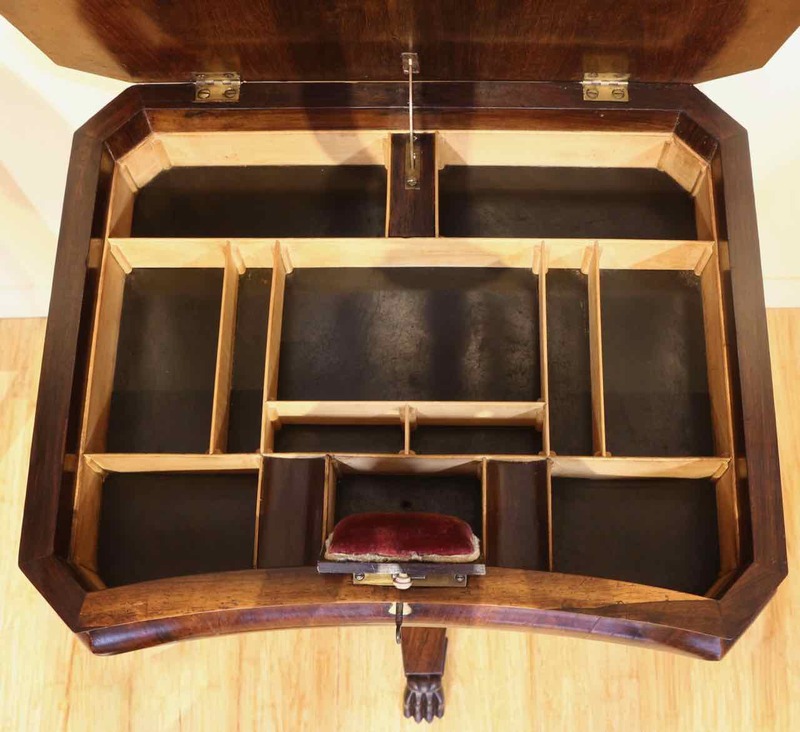 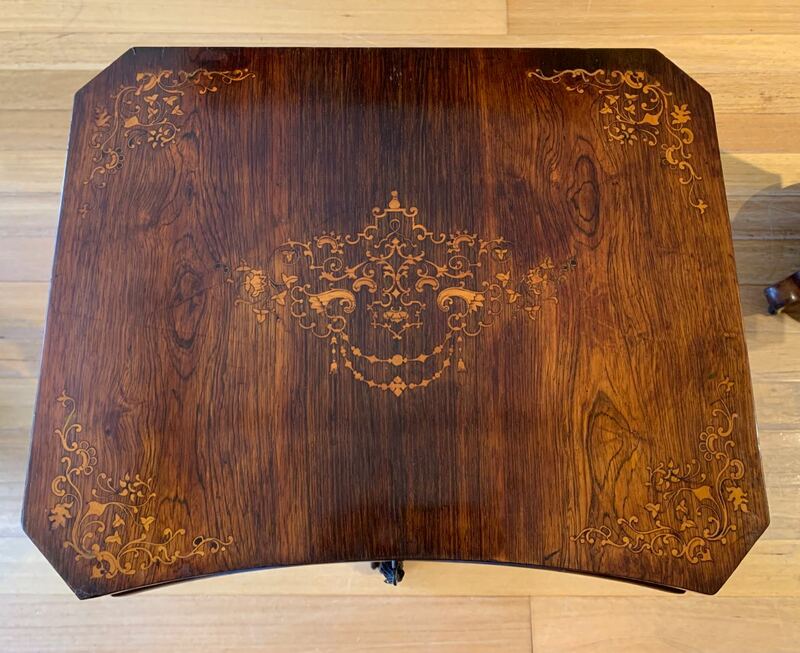 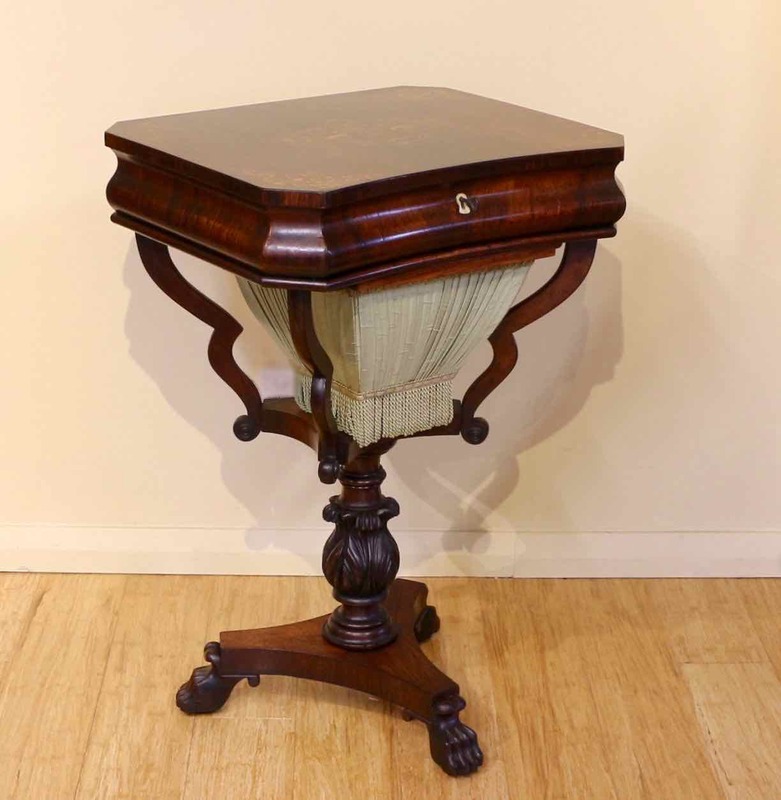 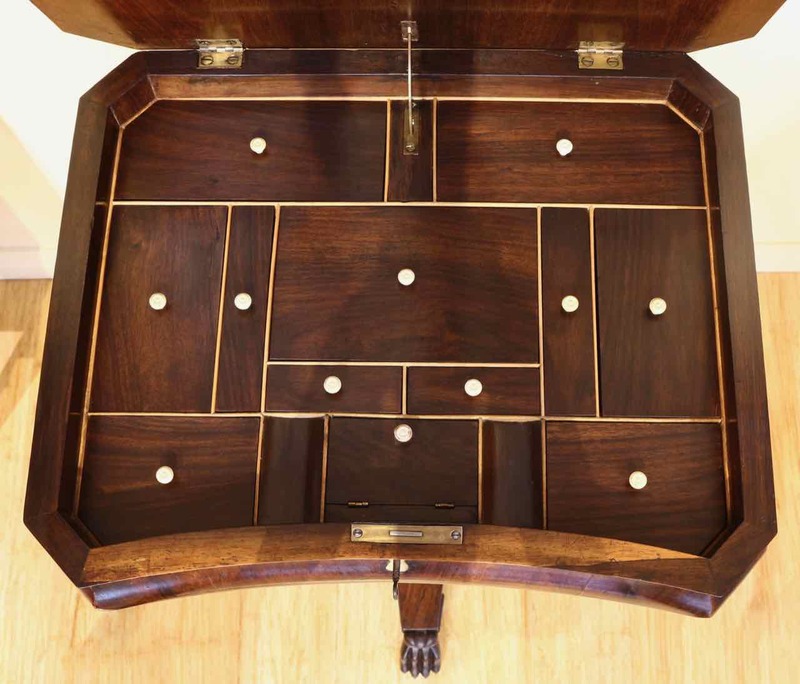 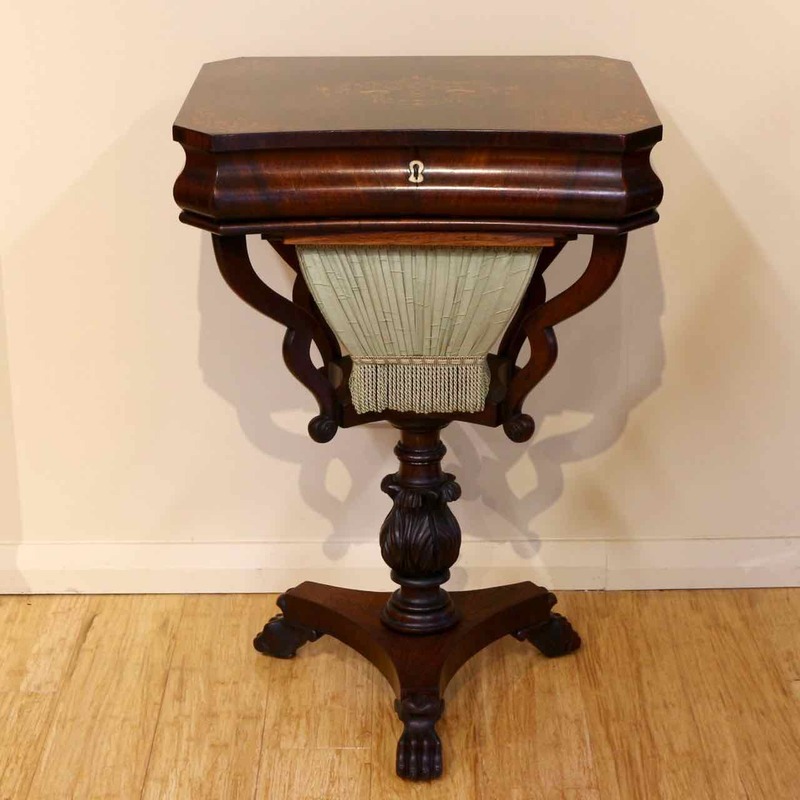 Mid 19th Century French Rosewood Work or Sewing Table, with a very finely inlaid hinged top, which opens to reveal a well fitted interior, each lid fitted with a turned ivory knob. 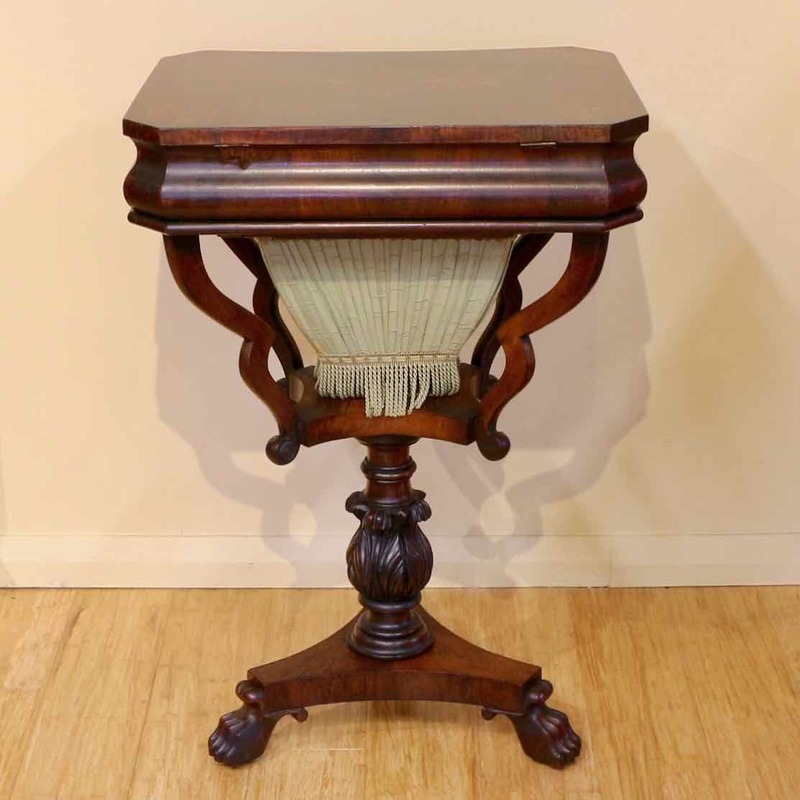 A pleated fabric covered work basket slides within a shaped timber frame, above a carved knop and tri-form base, with paw feet and recessed brass castors. 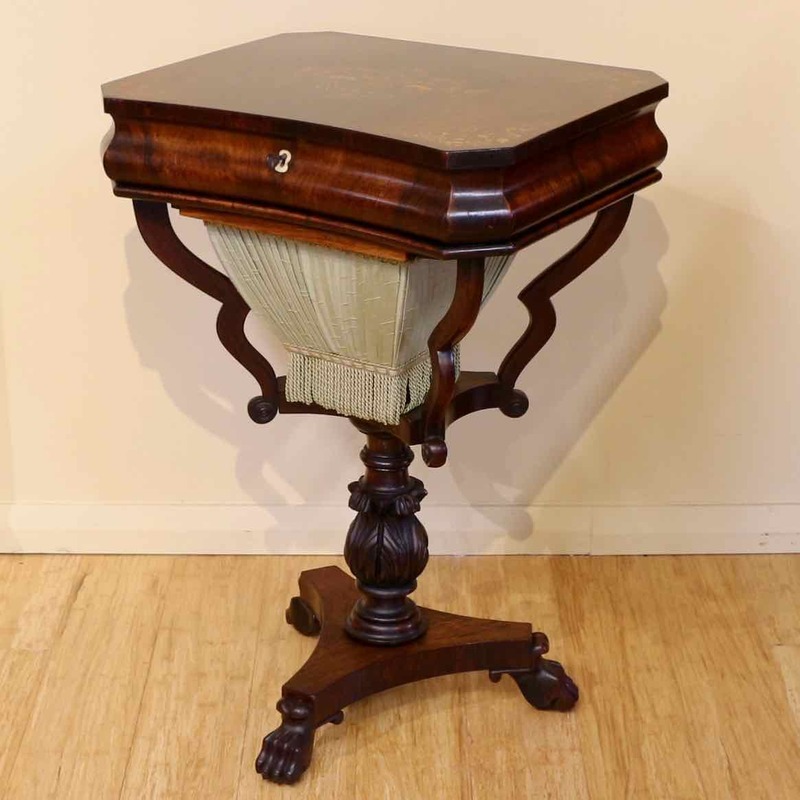 Very fine quality and in very good condition.